With a new feature called Instant Games, you’ll be able to play old school hits including Pac-Man, Space Invaders and Galaga, as well as modern games on the social network. Pac-Man will soon be chomping up your Facebook feed. The social network on Tuesday unveiled a new feature called Instant Games that lets people play games on their news feeds and on the chat app Facebook Messenger, without installing any new apps. In addition to Pac-Man, there are classics like Space Invaders and Galaga. There are also modern games like Zynga’s Words with Friends: Frenzy and Shuffle Cats Mini, a game by King, maker of Candy Crush. Right now, there are 17 games available, but Facebook wants game developers to add to the list. The one thing all the games have in common is they are based on racking up a high score, instead of, say, a role-playing game where you move through a world. To play the games, tap on the new game controller icon at the bottom of the Facebook Messenger app. With the new feature, you’ll be able to see leaderboards, chat with friends about games and compete with people on Messenger. There, you’ll be taken to a new section of the app that will let you play and discover new games. In the main Facebook app, there’s a new Instant Games tab where you can view games. You’ll also be able to post recommendations and challenges. For Facebook, the nostalgia factor was important. Facebook is already the place you wish friends a happy birthday, announce big life events and get your news (both real and fake). But now the company wants to make Facebook an even bigger hub for games. In 2014, Amazon bought Twitch, another site for video game live streaming, for almost a billion dollars. 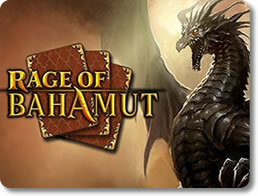 The social network isn’t the only internet giant that has bet big on games. 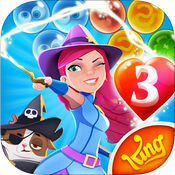 Google has Google Play Games, its online marketplace for downloading mobile games. And YouTube, also owned by Google, last year launched YouTube Gaming, for game-related video content and live streaming. The notification deluge won’t happen this time around, Olebe promised. That’s because developers now have a better idea of how people on the internet engage with games, and most games are no longer designed with such a big emphasis in going viral, he said. In case you do get a spike in notifications, you can mute threads on Messenger or hide posts on your Facebook news feed. The Instant Games service is coming to 30 countries, including the US, Japan and Australia. It’s available on the web, Apple’s iPhones and phones running Google’s Android mobile software. 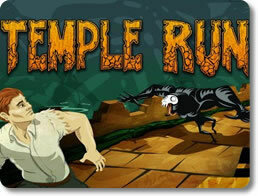 Temple Run – See How Long You Can Survive in this Panic-Inducing Game of Speed! Angry Birds 2 – Get Ready for the Most Astounding Bird-Flinging, Pig-Smashing Action Ever!